This newly expanded and revised second edition of That's the Joint! brings together the most important and up-to-date hip-hop scholarship in one comprehensive volume. Presented thematically, the selections address the history of hip-hop, identity politics of the "hip-hop nation," debates of "street authenticity," social movements and activism, aesthetics, technologies of production, hip-hop as a cultural industry, and much more. Further, this new edition also includes greater coverage of gender, racial diversity in hip-hop, hip-hop's global influences, and examines hip-hop's role in contemporary politics. With pedagogical features including author biographies, headnotes summarizing key points of articles, and discussion questions, That's the Joint! 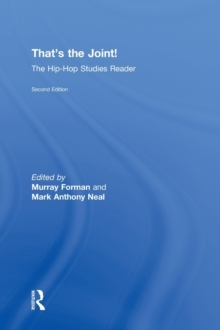 is essential reading for anyone seeking deeper understanding of the profound impact of hip-hop as an intellectual, aesthetic, and cultural movement.